How much has sickness affected your workplace productivity this year? Preventing the spread of viruses in the workplace is becoming more and more important especially during the flu season. The peak flu season occurs during the coldest part of the year. Depending on which part of the world you are in, the time of year will vary. In North America, it is October to May, peaking normally in February. Occurrences of flu increase 10 times or more during these colder periods. Why is the flu so much more prevalent in the winter? Research done by National Institute of Child Health and Human Development (NICHD) in 2008 found that the influenza virus has a “butter-like coating”. The coating melts when it enters the respiratory tract. In the winter, the coating becomes a hardened shell; therefore, it can survive in the cold weather similar to a spore . In the summer, the coating melts before the virus reaches the respiratory tract. People spend more time indoors during colder months compared to the summer, and that close contact allows for the virus to be transferred more easily. The colder weather may allow the virus to live longer on high touch point locations like doorknobs, door jams, and countertops. In protecting myself from the spread of the flu virus, I do my best not to touch those frequently touched surfaces anytime of the year but especially during the cold season. Cleaning is a critical component to interrupting the chain of infection and preventing the spread of the virus. Over the years, working in the field and taking many classes and seminars on the topic, nothing replaces good old-fashioned elbow grease and scrubbing when it comes to removing dirt and microorganisms. Good and thorough cleaning is rare both in the home and work environment. As a cleaning professional, I see it all around. Take a look at door handles, behind door handles, on the back side of a door or a washroom partition. Very often, too often in fact, the buildup is visible and obvious. I recently read Antifragile by Nicholas Nassem Taleb for the second time. In this book, Taleb discusses that we, as a society, spend an inordinate amount of time attempting to predict the next catastrophic event instead of creating systems that prevent those events. He states that real heroes are people that actually prevent those events from ever happening during the course of their everyday life, and never get credit for it because we never know about it, since the event has been prevented. I would suggest that a career cleaner who is doing a great job of preventing the spread of the next pandemic by doing a good thorough job cleaning is just that type of hero that Taleb discusses in his book. 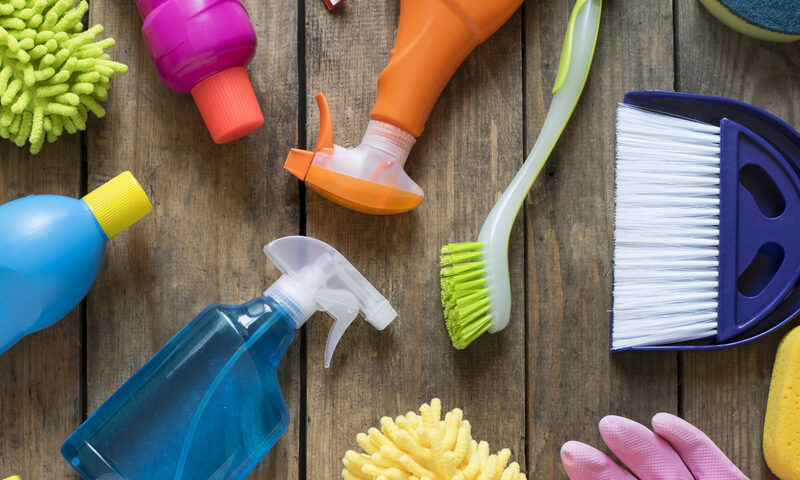 If you are not lucky enough to have a well-trained, conscientious cleaner, you may be experiencing poor cleaning practices which create the conditions that are ripe for viruses to spread. The importance of proper handwashing can’t be overstated. Study after study shows that good hand hygiene is a critical component to preventing the spread of the flu virus. Do your cleaners have good hand hygiene? Are they washing their hands often, and using appropriate personal protection equipment like gloves? Having wipes and other cleaning supplies available to staff and the public allows them to be able to wipe and clean surfaces regularly. Germs and viruses are around all the time so why wait for the night cleaners to clean surfaces when they can also be cleaned often by others? Touch points like door handles, door knobs, doors and door jambs, light switches, elevator buttons, handrails, etc. are the most obvious places for viruses to spread. 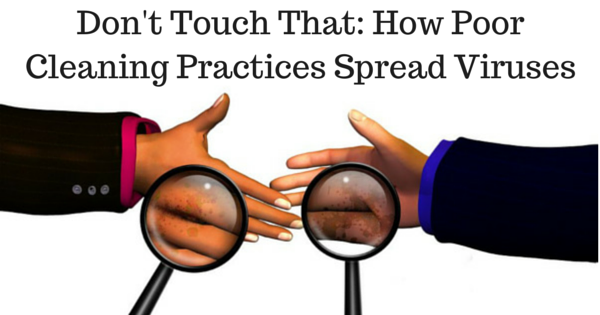 It is imperative that your cleaners be cleaning all touch points properly. If they are missing these important areas, viruses are apt to spread quickly.